Left to right: Majid Entertainment’s Ivan Doncic; contest winner Joe Moroney from Fourth Wall Creative; Majid Entertainment’s Mohamad Yehya; Reed Midem’s Laurine Garaude; and Majid Entertainment’s Afra Alrashidi. This year’s MIPJunior International Pitch saw five in-development children’s projects showcased for the conference audience, before a winner was chosen. They were the pick of more than 100 projects chosen through the MIPJunior Digital Library. This year’s contest was sponsored by Majid Entertainment, a subsidiary of Abu Dhabi Media Company, which has a keen eye on this area: it’s just launched a free-to-air kids channel and online platform in the Middle East. And the company announced onstage that it will sponsor the contest for the next three years, too. The session was moderated by author and consultant Christophe Erbes. The jury consisted of three executives from event sponsor Majid Entertainment: Mohamad Yehya, general manager Ivan Doncic, head of digital; and Afra Alrashidi, media division director. Each finalist pitched for five minutes, then answered questions from the jury. First to pitch was Mexican company Mighty Animation and its CEO Claudio Jimenez, with a project called Juanfutbol. Originally, it was conceived as a transmedia project for “kids aged 8 to 35”, using Twitter, Facebook, Vine, Instagram, YouTube and other online platforms. Juan is “a satire of the strange love and passion that we all have for football” with characters that are green grass patches who are crazy and friendly: “Basically, they were born Mexican!”. It launched in mid-July with a YouTube clip introducing the character, with the first clips generating hundreds of thousands of years. More videos will follow this year, with ambitions to have Juanfutbol shared all around the world “and at some point to get Juan little adventures on TV” according to Jimenez. In the Q&A segment, he was asked about comparisons to SpongeBob SquarePants. “I guess he’s square, and he has eyes,” he said. Will the football theme and male hero exclude girls? “Actually we’re planning for the future clips more girls will be introduced, including Juan’s girlfriend. Football and women, especially in the United States, is a big thing,” he said. Next up was Mike’s Mysteries, a project from J.O.K. Films in Spain, presented by CEO Jokin Etcheverria. It’s an animated educational series with an eccentric star called Mike, who answers questions like ‘Why do zebras have stripes?’ and ‘Where do books come from?’ Children send in questions via the show’s app and website. It’s a 104-episode series of two-and-a-half minute shows aimed at 6-9 year-olds, with a budget of €820k. “Mike’s Mysteries is fake news reports in a comedy tone with slapstick,” explained Etcheverria, stressing that the educational aspect is designed to set it apart from other shows of its kind. Next up was a project called Planet Ai, presented by Olga Khabibullina, director of sales at animation studio KinoAtis. It’s a comedic animation series featuring a family (and its robot) living on a satellite for the Planet Ai, and watching satellite broadcasts from Planet Earth – with young hero Rodya trying to copy what he sees. Its production budget is $2.6m, with $1.3m still required from financing partners. “The main message is how important for family to be in one piece, and for children to be kind, to learn stuff and to be curious. Not to stop learning, and to be having fun doing this,” she said. Next to pitch was Maria Ufland, joint managing director of Media I.M. who presented Rosa and Dara And Their Great Adventure. It’s a story of seven year-old twins (and their “amazing Grandma”) who have to keep saving the world from the exploits of their dog Laiko – with the first adventure involving rescuing a herd of lost cows scattered around the world – and even into space. A half-hour TV special has already been produced by Bionaut Animation and shown in the Czech Republic, with production due to start in 2016 on a 52-episode run with a €884k budget. “The inspiration for the series came from shows such as Tintin, Duck Tales and Indiana Jones. Most of these had male and boy characters as leads, and this inspired the producers of the shows to create female characters as leads,” said Ufland. But it’s still intended to be gender-neutral, watched by boys as well as girls. The judges queried whether the heroines will restrict Rosa and Dara to an audience of girls. “The core audience is 6-8… and the target audience is not just girls: it will appeal to boys as well. There are a lot of gadgets… and it is also perfect for sibling co-viewing,” said Ufland. There are already ideas for brand extension, from books to apps and games. 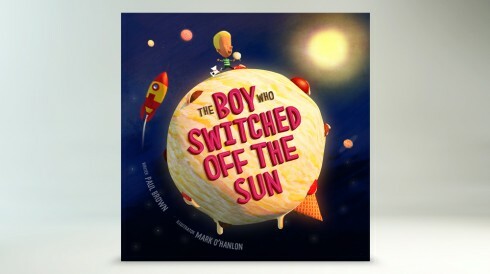 Finally, Joe Moroney, managing director of Fourth Wall Creative, presented The Boy Who Switched Off The Sun – a TV special adapted from a picture-book, which was published in the UK this year. It tells the tale of Marcel, a boy who loves eating ice cream, but hates the way the sun keeps melting it. So he flies to the sun and switches it off, before realising the implications – freezing oceans, dying forests etc – and building a huge catapult to turn the sun back on again… with a “gigantic scoop of ice cream”. This has now evolved into plans for a TV series called Marcel, with a spin-off narrative-based app with some gameplay. “Basically it’s tapping into child logic: kids always have questions… it’s about encouraging them to think about the world imaginatively, but also the consequences for their actions,” said Moroney. Again, will the male hero put girls off watching? “My own audience at home, I’ve got two girls seven and five, and they absolutely love the project. Because it taps into that childhood logic, it has appeal for both boys and girls,” said Moroney. The jury retired to consider their choice, then returned to the stage to explain it. “A very hard decision,” admitted Yehya, before awarding the prize to Fourth Wall Creative for The Boy Who Switched Off The Sun. Congratulations: and thanks to all of our finalists!